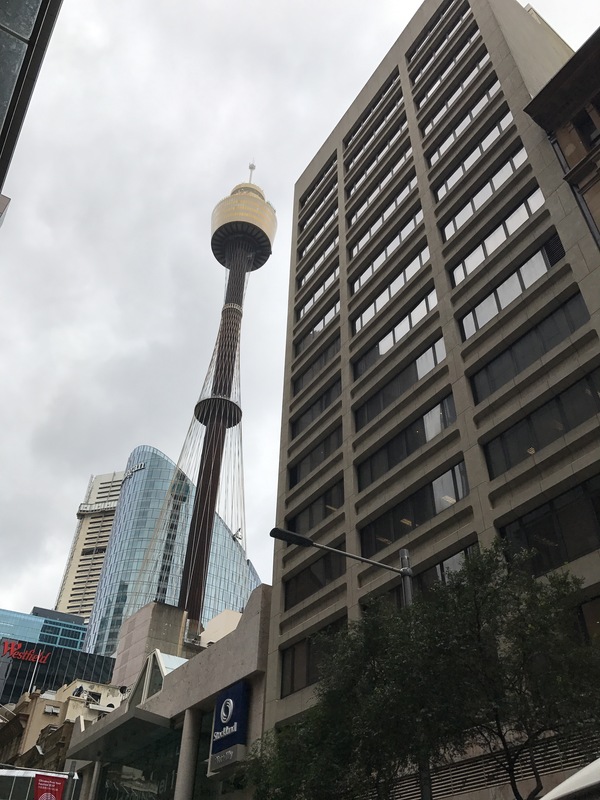 I’ve been staying in Sydney attending a number of meetings of the committees of the Presbyterian Church of Australia this week. This is as close to camping out as I get. Here’s the view on a showery Friday evening in Haymarket/Ultimo looking toward Glebe. The building directly opposite is covered in plants, which seem to be flourishing. Categories: Sydney, Travel | Tags: Sydney, Travel | Permalink. Every morning on my walk around Sydney this week the same sights keep catching my eyes. It’s not all bin chickens and free-range bikes. I can’t imagine I’d ever find it boring. 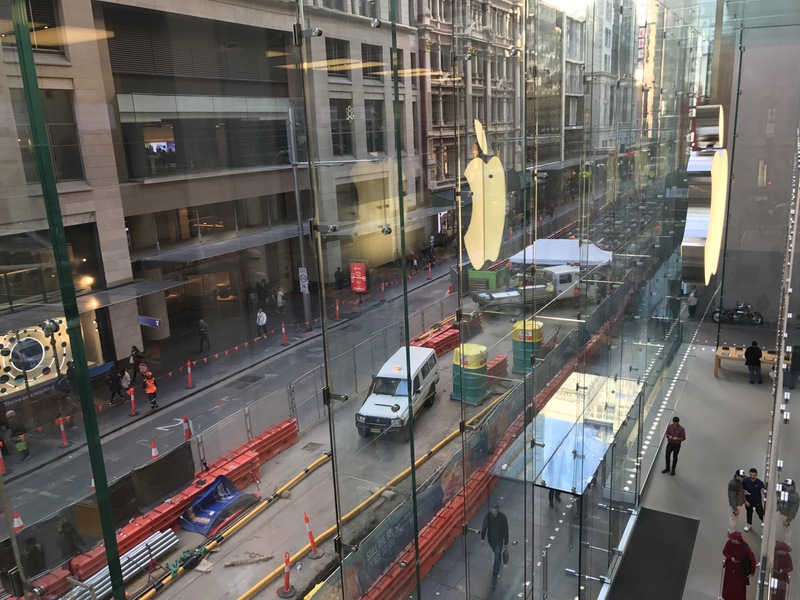 Categories: City Walks, Sydney | Tags: City Walks, Sydney | Permalink. A whimsical addition just outside the entrance to the building where our meetings are taking place this week is this shrubbery. The only thing that it might need would be a second shrubbery, placed beside the first shrubbery, only slightly higher so you get the two-level effect with a little path running down the middle. Categories: Gardening, Sydney, Travel | Tags: Gardening, Sydney, Travel | Permalink. The ones from previous years are gone. There were a few green ones with some sort of solar battery around. I don’t know if they are the next step in the evolution or not. Early morning sightings of bin chickens during my morning walk in Sydney this morning. Categories: Animals, Bin Chickens, City Walks, Sydney, Travel, White Ibis | Tags: Bin Chickens, City Walks, Sydney, White Ibis | Permalink. 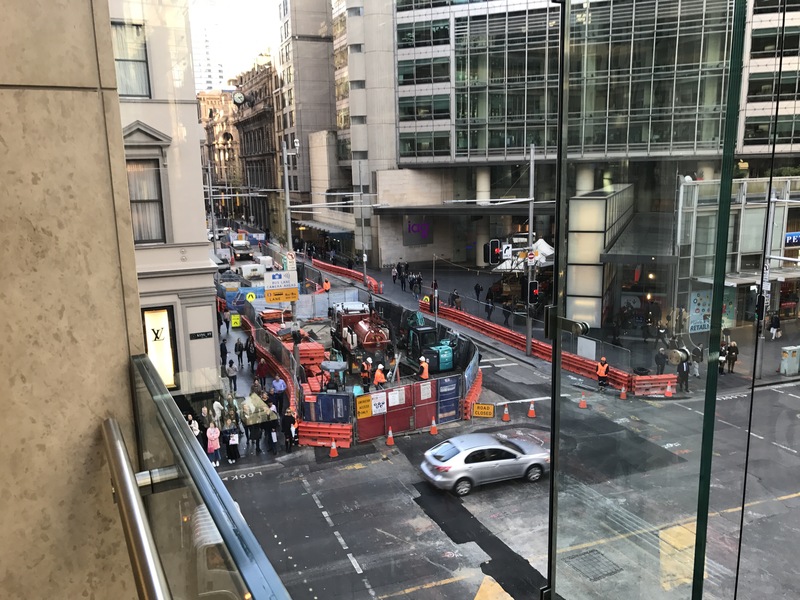 George Street in Sydney (and others) have looked like this for months (years) now while they put in ‘light-rail’ (don’t call them trams, it seems). At least it’s reduced traffic volumes already. Categories: Travel | Tags: Sydney, Travel | Permalink. One day I may go up that tower instead of just taking photos of it. Categories: 1 | Tags: Sydney, Travel | Permalink.